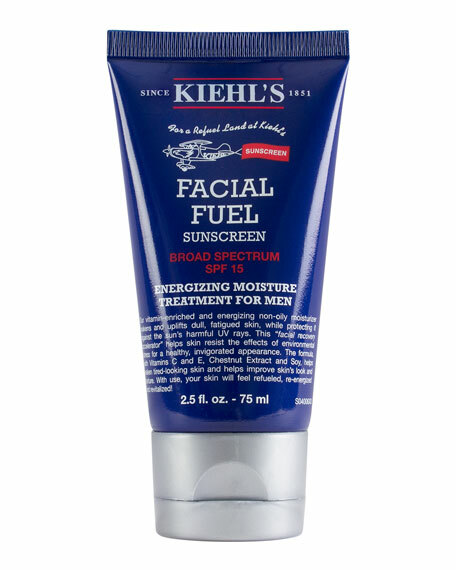 Kiehl's Since 1851 Facial Fuel Daily Energizing Moisture Treatment for Men, 4.2 oz. 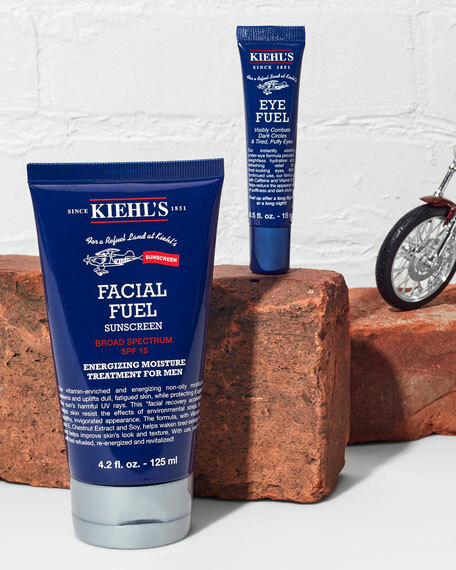 An energizing moisturizer formulated for men's skin. 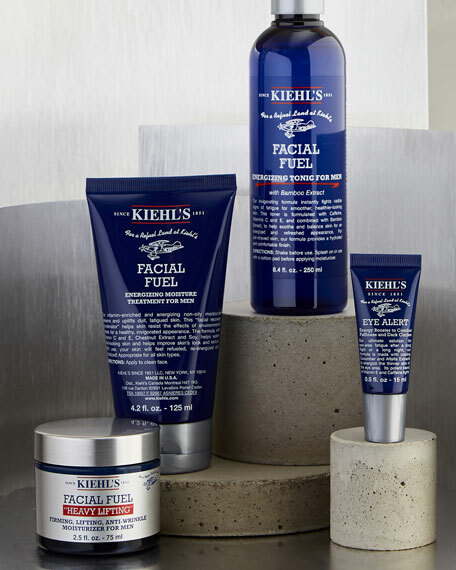 Formulated for men's skin, this non-oily moisturizer helps revitalize dull and fatigued skin for an invigorated appearance. As it moisturizes, it also helps improve skin texture. 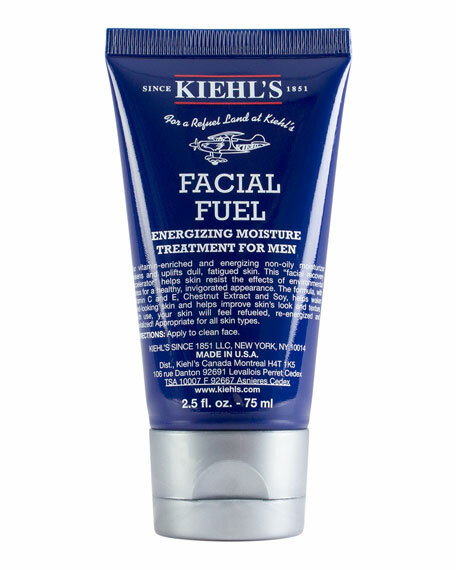 Fuel your day with this go-to moisturizer, infused with Vitamins C and E, Chestnut Extract and Soy. Chestnut Extract: Chestnut Extract is derived from the Horse Chestnut Tree. Originally grown in Asia and northern Greece, this tree produces fruits made up of a spiny capsule that resembles a walnut. 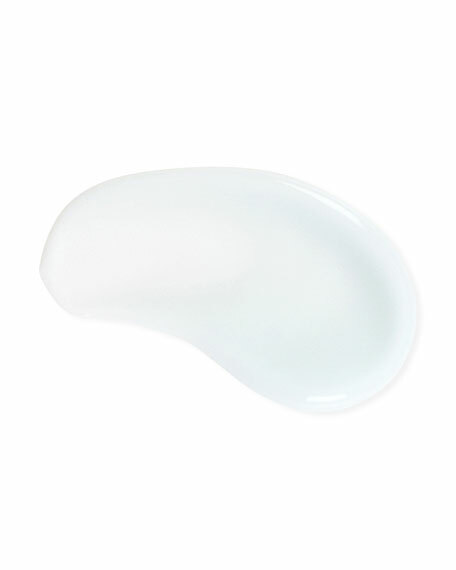 In skin care, this extract is used to improve the skin's barrier function, thereby helping the skin to retain and restore its lipids. 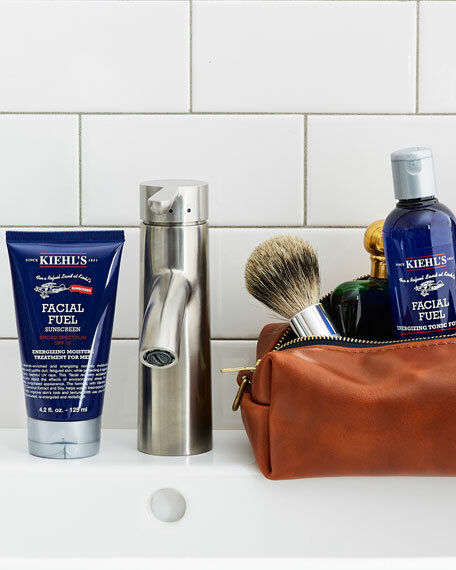 How To Use: Apply to clean face. 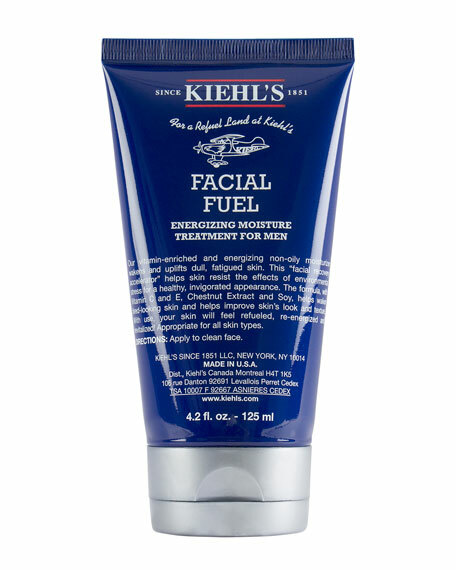 Kiehl's Since 1851 Facial Fuel Daily Energizing Moisture Treatment For Men, 2.5 oz. 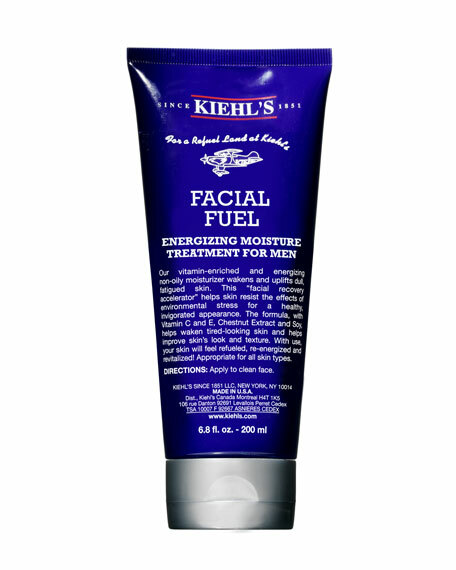 Kiehl's Since 1851 Facial Fuel Energizing Moisture Treatment for Men, 6.8 oz.